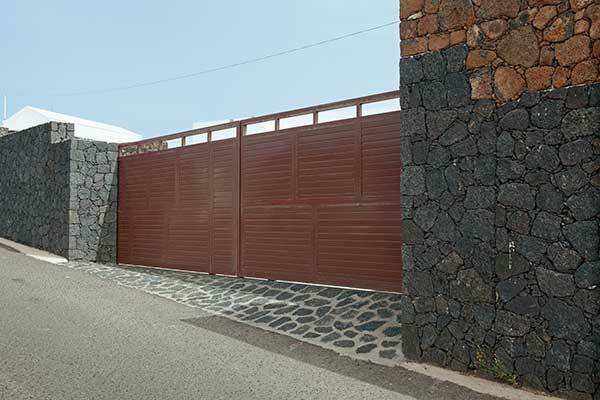 Home Blog Which Material Should You Use For Your Gate? 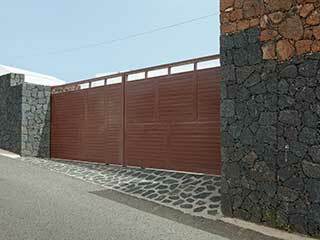 Modern driveway gates can come in many different styles, designs and materials. As a homeowner, it can be hard to work out exactly which one is best for your property. This guide aims to break down the most common materials used today, along with their main benefits and drawbacks. Timber is an excellent material for gates because it’s tough, and it looks great. It’s easy to work it into a range of styles, too, though you won’t find the same intricate designs as you will with metal gates. On the other hand, wooden panels make it more difficult to see beyond the driveway, so if you value your privacy this material can be a great choice. Keep in mind that the surfaces will need to be cleaned and sealed regularly, and that large wooden gates can be heavier than even some metal ones. This metal makes a great gate building material. Unlike steel and iron, it won’t rust, so there’s less need for a lot of maintenance and protection, and it can be finished in a range of colors to give it some extra style. As a lighter metal, aluminum is also typically cheaper, and due to its light weight, it also requires a less powerful opener. However, it’s also significantly weaker than steel or iron, and can get damaged and dented far more easily. Steel is the go-to material for many homeowners, and for most commercial applications. It’s strong and secure, and can be made in a huge range of different styles to suit any purpose. Steel can be finished in a huge range of colors, too, to suit properties of all different types. As a heavy metal, though, it is more expensive to fit as a gate, so although it offers better protection than aluminum it isn’t always worth the extra cost, unless security is a major priority. There’s no substitute for the vintage appeal of wrought iron, which adds an air of class to any property. Very strong and durable, though potentially vulnerable to rust, wrought iron can be made in a dazzling range of intricate patterns and ornate designs. Be aware that iron is a much heavier and more expensive material than steel, and custom wrought iron gates can be very costly. However, this added expense brings a real touch of elegance and prestige that cannot be replicated with other materials.